Modern retirement is a somewhat daunting prospect. Unlike previous generations, today's workers generally cannot count on a pension to fund their retirements — which means the buck stops with you when it comes to saving up the necessary money to live comfortably after you hang up your hat. Add to that the constant rhetoric about Social Security's imminent demise and the spiraling costs of health care for an aging population, and it's no wonder that thinking about retirement is heartburn-inducing. But even though many common retirement fears are perfectly rational, you do not have to feel overwhelmed by your concerns. Here's how you can overcome four of the most common retirement fears and plan for a fulfilling retirement. The Social Security Trust Fund has been losing value since 2013, and it is projected to be entirely depleted by the year 2034. This fact is often touted as a reason for current workers to give up on the idea of receiving Social Security benefits at all once they reach full retirement age. After all, the Trust Fund will be empty by the time many current workers retire, and projected tax revenues will cover only 79 percent of promised benefits. This could mean anyone who is entitled to a $1,500 monthly benefit will only receive $1,185. While it is absolutely true that the Trust Fund will be depleted in less than 20 years, that does not mean that Social Security will simply dry up for current workers. American workers can count on Social Security to be there when they retire, no matter how old or young they are. Here's why you don't need to panic: To begin with, the dwindling of the Trust Fund is neither new nor imminent. It's also important to note that the United States is the only country in the world that attempts to predict the 75-year longevity of its social insurance funds, which means we are in a position to do something about the anticipated shortfall. Over the next couple of decades, it is likely that our government will make relatively small changes to the Social Security program in order to make up the 21 percent anticipated shortfall that will occur once the Trust Fund has run dry. Not having enough money in retirement is a truly frightening thought. 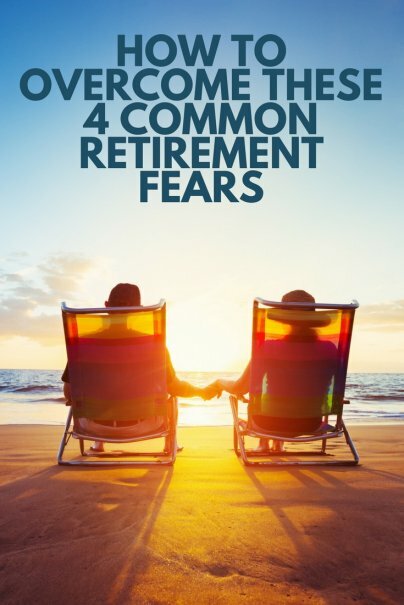 And since it is impossible to know for certain how much money you will need in retirement, it's not possible to entirely dispel this fear, even if you have a robust retirement account. However, most Americans have very little money set aside for retirement. According to an Employee Benefit Research Institute survey from April 2017, 47 percent of American workers have less than $25,000 set aside for retirement. Considering the fact that it is prudent to withdraw no more than 4 percent of your nest egg per year during retirement to avoid outliving your savings, $25,000 would only net $1,000 of retirement income per year, which is nowhere near enough to live on. If you are among the 47 percent of American workers with less than $25,000 saved for retirement, the best way to deal with your fear of outliving your savings is to increase those savings. As of 2017, you can contribute up to $18,000 per year to a 401(k) or 403(b) plan, plus an additional $6,000 if you are over age 50. You may also contribute $5,500 to an IRA, plus an additional $1,000 if you are over 50. Maximizing those contributions can do a great deal to help you prepare for retirement. Even if contributing the maximum is out of your financial reach right now, upping your contribution by 1 or 2 percent can make a big difference in your nest egg's health. According to Fidelity Benefits Consulting, the average cost of medical expenses for a 65-year-old couple retiring in 2016 will be an estimated $260,000. What's even more frightening about this enormous dollar figure is the fact that Fidelity based its calculations on 65-year-old retirees — meaning that the hypothetical retiring couple is already eligible for Medicare. Health care costs are undeniably high, and retirees are vulnerable to the high cost of medical care since it is difficult to shop around for better prices or stretch a fixed income. This means it's perfectly reasonable to worry that you might get sick after you retire and spend down all of your nest egg. It's true that health care is likely to be one of your biggest expenses in retirement, but that does not necessarily mean that an illness will bankrupt you. However, Medicare does not cover long-term care. This type of care — which describes the nonmedical help the elderly might need for daily living — is the aspect of your health care that can quickly overwhelm a nest egg. Long-term care insurance is a good option for some middle-income retirees, as it will make sure assets are protected in case you need long-term care. This kind of insurance can be pricey, however, which can put the cost out of reach for some retirees. If long-term care insurance is not in the cards for you, recognize that Medicaid will pay for your long-term care once you have exhausted your own resources. This is hardly an ideal option, but it can help ease your stress if you recognize that you will be able to get the care you need, no matter your financial situation. The 2002 Jack Nicholson movie About Schmidt does an excellent job of showing how isolating retirement can be for some career-oriented workers. Nicholson's Warren Schmidt feels lost after retiring from several decades of working at an insurance company, and he returns to his office to try to recapture some of his sense of himself as an expert in his field, only to be brushed off by the young man who has taken his job. It's natural to be afraid of such a major life transition, particularly if you have always defined yourself by your career. Entering retirement without the structure of a daily routine can induce anxiety and fear, which can hardly help you to start writing your new chapter. One of the most important things our culture needs to do is stop looking at work and retirement as two distinct things, and start looking at them as two different parts of your whole life. Both your career and your retirement are your life, and you need to see it all as something that you can use to define yourself. That means structuring your life while you are working to include the things you will want to do when you are retired. For instance, if you dream of traveling in retirement, don't wait until you are retired to start your journeys. If you commit to making trips while you are still working, you will be well-prepared to be a traveler in retirement, and you will already define yourself by more than just your work. The best part about working to overcome this fear is that it gives you the opportunity to do the fun things you love while you are still in the midst of your career. With a little advance planning, retirement can provide a fulfilling evolution of the identity you've cultivated throughout your career.